For months now, Nintendo has been positioning the Wii U not just as a game-playing machine, but as a living room video hub. It offers support for Netflix, Hulu Plus, Amazon Instant Video, and YouTube all integrated with your TiVo and live TV through a service called Nintendo TVii. Now, just two days before the system is set to launch in North America, Nintendo has revealed that not all of those services will be available when the Wii U hits store shelves. In a press release listing the Wii U's features that hit the wires early Friday, Nintendo buried the little nugget that Nintendo TVii will launch sometime in December, with the integrated video-on-demand apps being rolled out "in the coming weeks." While it looks like Nintendo never previously said that these features would be available on launch day, Nintendo of America president Reggie Fils-Aime said during a September news conference that these features would be "included in every Wii U purchase" at no additional cost. 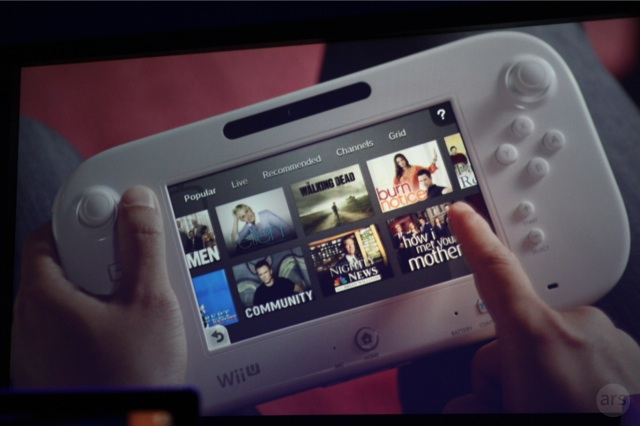 Frankly, today's announcement just adds to our worries about the Wii U's online features. The prelaunch hardware provided to the press is currently not capable of doing much more than playing games. Functions like the online game store, Miiverse social networking, video chat, a web browser and even the ability to transfer content from an old Wii to a new Wii U won't be available until Nintendo rolls out a downloadable software update. The company has promised this update will be available for Sunday's North American launch, but at T-minus 36 hours, it has yet to be released. Is this Wii Internet Channel problem happening to you? Whenever I’m on the Wii Internet Channel, I check my Yahoo mail, Youtube, and Gmail, but sometimes when I click on a link, for example, to view someone’s profile, I automatically get logged out. Is this happening to you? The Tendo Project – Daily Nintendo News is powered by	WordPress 5.0.4 and delivered to you in 2.093 seconds using 43 queries.